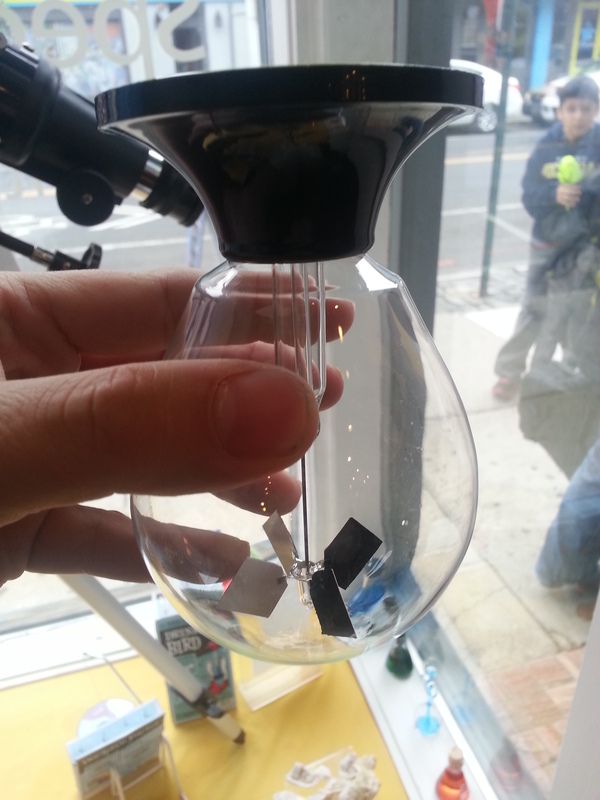 Radiometers, or as people who come into our store describe it: “That thing that spins in a bulb in sunlight” are a great little demonstration of solar energy. There’s no assembly required, just remove the Radiometer from the box and put it under light. The vanes should start spinning right away. But every now and then the Radiometer may stop working. 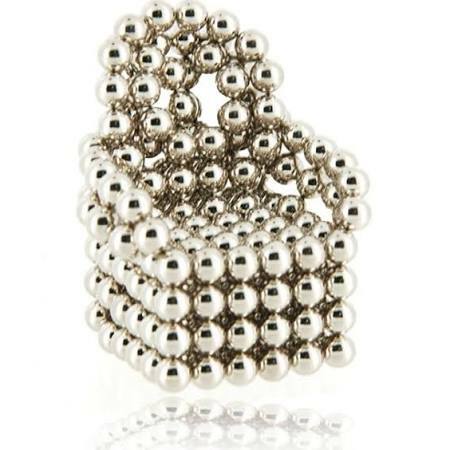 You can put it in the brightest lights and yet nothing happens. What to do? Well repairs to a stopped Radiometer are almost painfully simple, and yet sometimes they need to be explained carefully. This is especially true since Radiometers are made with thin glass and can be easily damaged. Most of the time the reason a Radiometer stops working is because the vanes have come dislodged from the needle-like post. The vanes are supported from the post by an upturned cup of glass with a pointed bottom. To operate the needle point must fit in that bottom perfectly. This is not always as easy as it sounds as the vane’s momentum can cause the cup to slip off the needle. To get it working again you will need to reset the cup onto the needle with a tiny bit of external force. 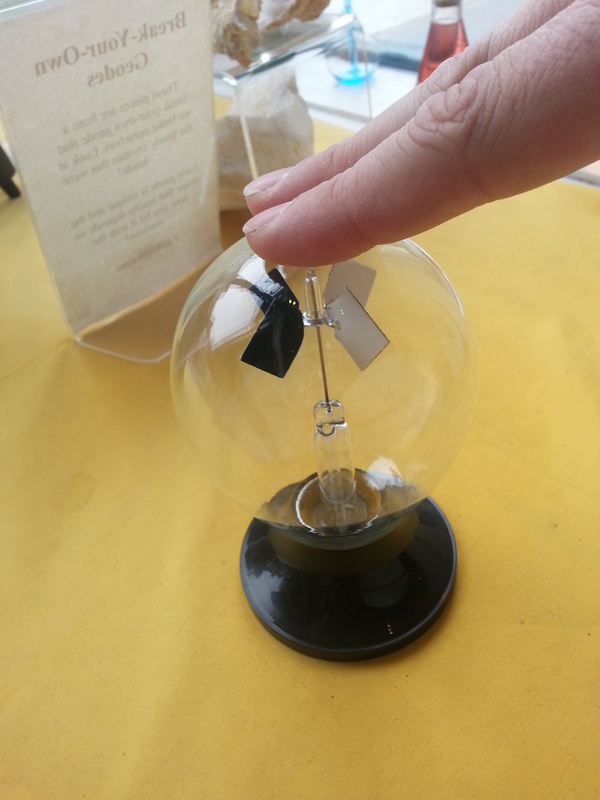 Give your Radiometer a gently but firm tap with two fingers directly on the very top of the bulb. Do not tap too hard as the bulb is made of thin glass. If the cup has simply dislodged itself from the needle this gentle impact may cause it to reset itself. It is also possible that the vanes have gotten a little stuck from one reason or another and this impact can loosen them. Second Repair: Upside Down time. If tapping does not fix the problem it is time for the ‘full resetting’ of the cup on the pin. Take the Radiometer and turn it directly upside-down. Then quickly flip it so it is right-side up again. When you invert the Radiometer the cup will come completely off the needle and when you revert it the cup should reset exactly on top of the needle. Place it back into the sun and see if this reseting worked. If it did not, try it again. 1) Not enough light. Some Radiometers may operate by a glimpse of moonlight but most aren’t that sensitive. Try putting the Radiometer in direct sunlight or very close to a lamp and see if it works. Sometimes Radiometers just can’t get enough energy from a cloudy day! Keep in mind that the sensitivity is unmeasurable and there can be great variations of sensitivity even within a brand of Radiometer. 2) Unlevel surface. If there is anything under the base of the Radiometer, remove it and see if that helps. A Radiometer won’t work if it is tilted for any reason so check the shelf or windowsill you place it on is reasonably level. If not, try another sunny location. 3) It’s cold outside. If your windowsill is very drafty the Radiometer may have problems. See if you can find a warmer location. 4) It just won’t work! While not all Radiometers are created equal, it is very, very rare that one simply won’t operate. But it does happen. To make certain either place the Radiometer in direct bright sunlight or mere inches from a lamp bulb. If it won’t work even under those conditions (after you follow the tap and flip repairs above) it is likely a non-operating radiometer. Time to replace it. Want to buy a Radiometer? We’ve carried Artec kits for a few months and they’ve done quite well. Some of the kits have a rational outlook to them and others have the zany Japanese anime-influenced look to them that makes them twice as awesome. Most of the new kits fall into the latter category. The engineering toy aimed at young girls continues to expand, and they’ve moved past just engineering basics and have some great new products. Goldie Blox kits are for children aged 4-9. The latest entry is, not a kit, but an action figure! This is no dress-up Princess, either, Goldie’s action figure ziplines!